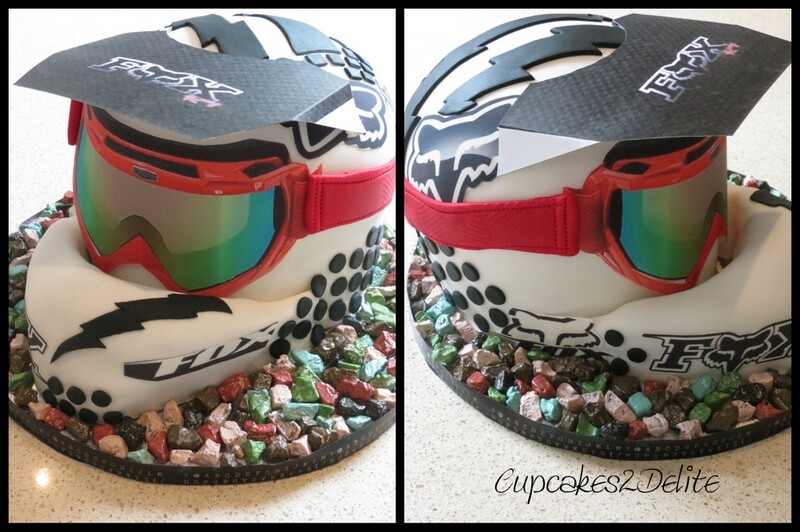 Motorbike Helmet Cake for David’s 21st! David was the first friend of Teigh to turn 21 and it was wonderful for our family to celebrate his birthday with him and his family and to make his special birthday cake for him. 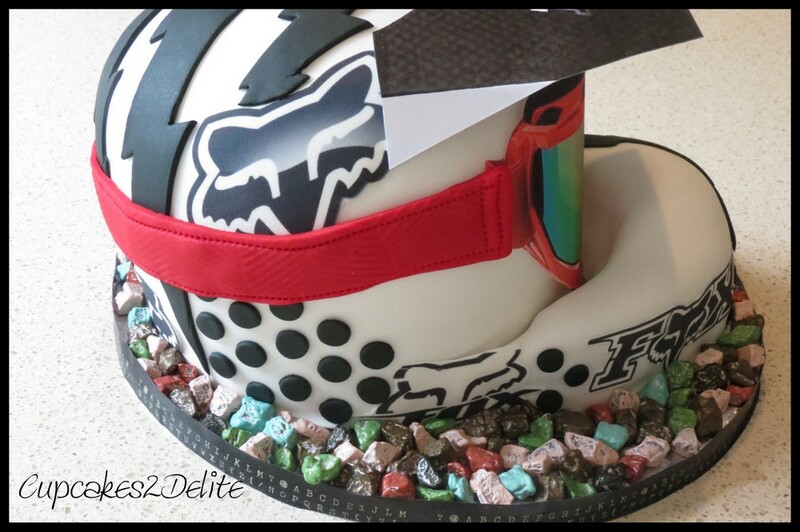 Julieta, his mom, sent me brilliant pictures of his off-road Fox helmet and she asked me to do a cake that showed David’s passion for off-road biking. 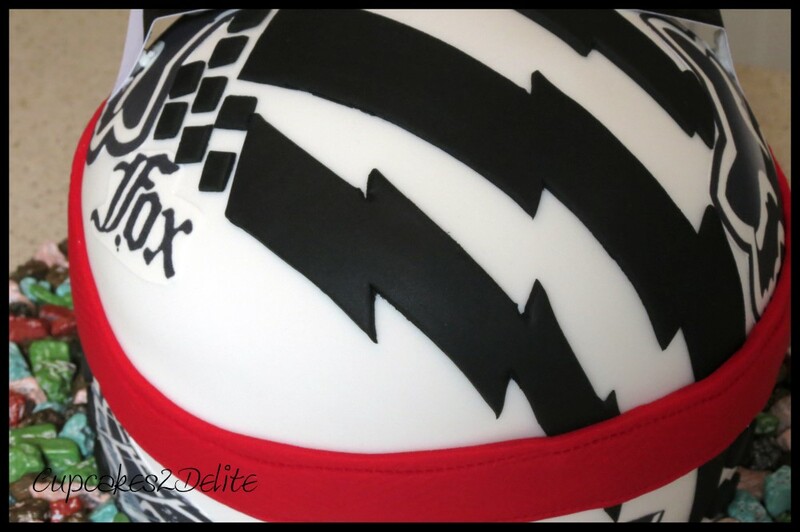 I made a cake, carved it into the shape of the helmet and with Teigh’s guidance it resembled the Fox helmet. Thanks to Pat’s expertise fondant skills, the cake was beautifully and flawlessly covered before I added the printed rice paper goggles and logos, red sugar paste strap and sugar paste dots. Finally I added chocolate rocks to the base of the board and washi taped the edge for a complete finished look. 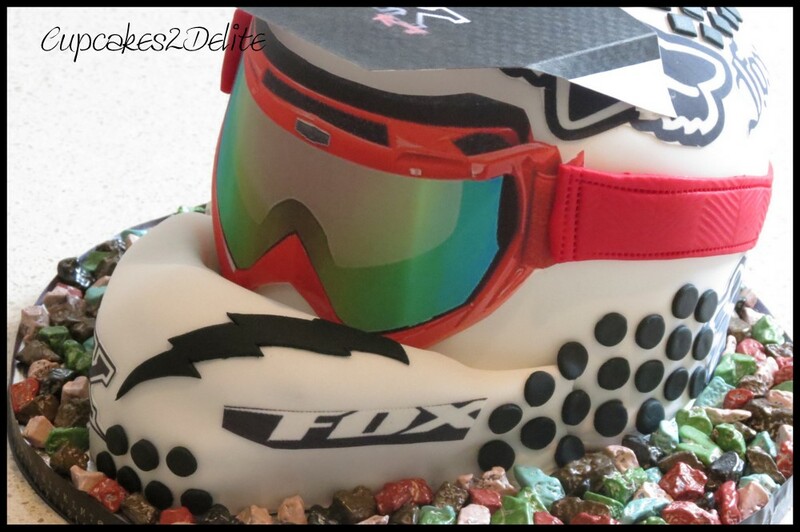 David was surprised by his mom’s order of this cake and everyone loved it but I have to say the hi-light of the day for me was when Julieta came to cut the cake and tried to lift the goggles off the cake thinking that they were real goggles, a real compliment to the cake! Congratulations David on your 21st!